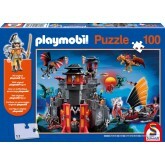 Playmobil There are 10 products. A 60 pieces jigsaw puzzle made by Schmidt (reference 56040). Size: 36 x 24.3 cm (= 14.2 x 9.6 inch). 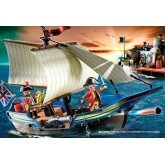 Special series: Playmobil. 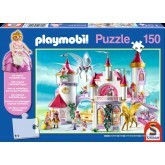 A 150 pieces jigsaw puzzle made by Schmidt (reference 56020). Size: 43 x 29 cm (= 16.9 x 11.4 inch). 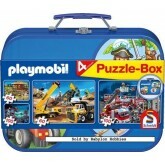 Special series: Playmobil. 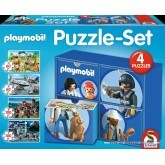 4 puzzles of Playmobil scenes. 2 of 60 pieces and 2 of 100 pieces. In a lovely metal giftbox. In stock and ready to ship out. 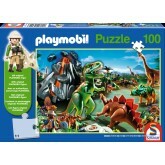 A 100 pieces jigsaw puzzle made by Schmidt (reference 55581). Size: 36 x 24 cm (= 14.2 x 9.4 inch). 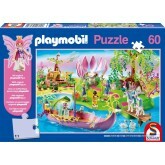 Special series: Playmobil. A 100 pieces jigsaw puzzle made by Schmidt (reference 56042). Size: 36 x 24 cm (= 14.2 x 9.4 inch). 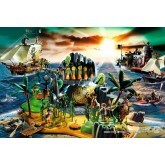 Special series: Playmobil. A 60 pieces jigsaw puzzle made by Schmidt (reference 56606). 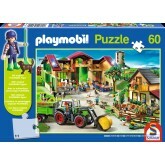 Special series: Playmobil. In stock and ready to ship out. A 150 pieces jigsaw puzzle made by Schmidt (reference 56041). Size: 43 x 29 cm (= 16.9 x 11.4 inch). 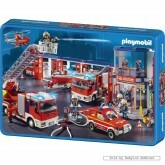 Special series: Playmobil.